Reboot your practice and visit us in Chicago! We will be at booth 419! 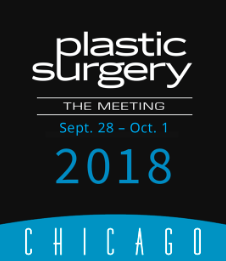 From September 27th to October 1st, 2018, Plastic Surgery Studios will be joining our colleagues at Plastic Surgery The Meeting in Chicago, Illinois. Experts from 73 countries will be attending The Meeting, sharing their knowledge and cultivating professional relationships within the aesthetic industry. At Plastic Surgery The Meeting, the American Society of Plastic Surgeons (ASPS) presents the largest Exhibit Hall in the field, where vendors and representatives can showcase valuable new products and services. Plastic Surgery Studios is proud to be part of another ASPS event, as we have enjoyed attending these events throughout our two decades in the digital marketing business for professionals in the field of plastic surgery. Before The Meeting, we will be at the Reboot Your Practice workshop to support the Senior Residents Conference. The exciting seminar features keynote speakers Daniel Tomal, PhD, and Marie Brown, MD, and will provide recommendations for revitalizing your marketing approach. Visitors will leave with information regarding human resources, financial development, and much more. Plastic Surgery Studios looks forward to conversing with our current and future clients about the evolution of the industry at the education and networking meeting of the year. Our services include interactive web design, content creation, search engine optimization (SEO), social media, and pay-per-click (PPC) advertising. We invite you to visit us at booth 419 and learn about how our state-of-the-art, comprehensive marketing strategies can strengthen your practice.